Experience waterfront living and exceptional views that no other will have at the Reserve in Harbour Walk at The Inlets. 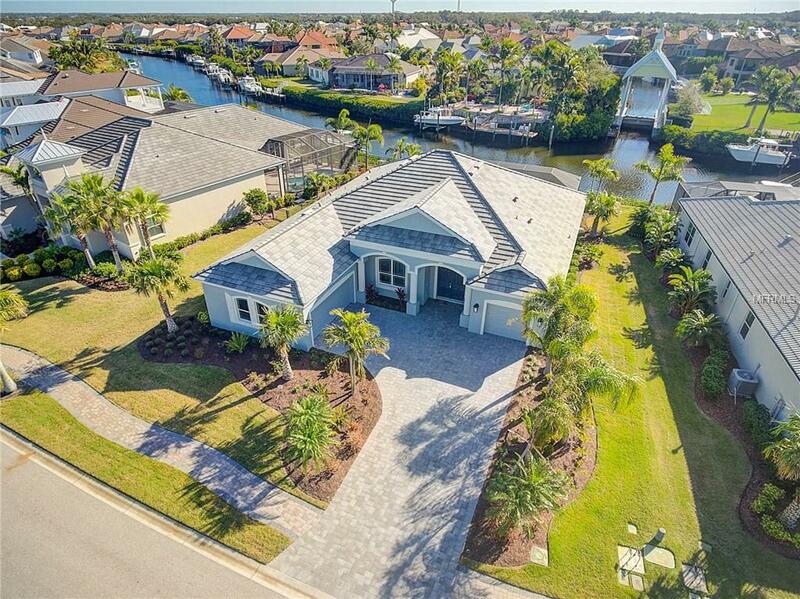 This luxurious Santa Maria Gold floor plan home by Medallion Home sits on one of the most desirable lots in all of the Inlets. 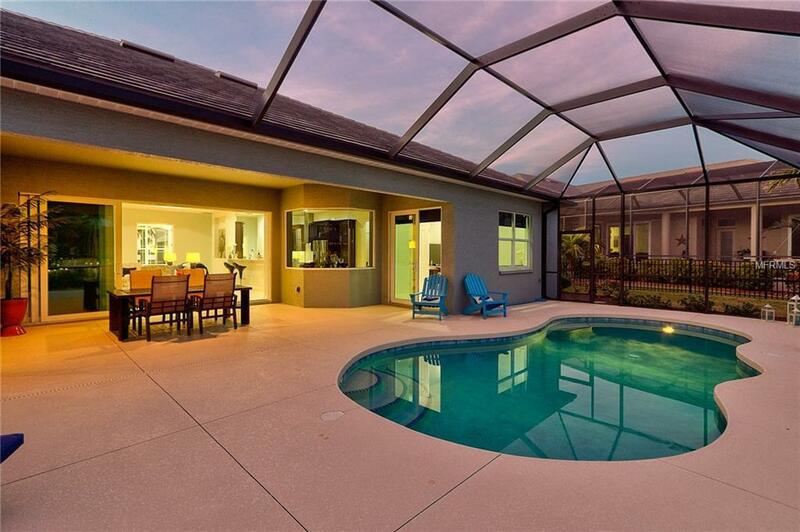 This is an entertainers oasis that was constructed in 2016 with custom features to compliment the home. With porcelain tile floors throughout and high tray ceilings, this home is bright with natural light. The Santa Maria Gold features an open floor plan with great room, kitchen and dining area that join the expanded lanai, pool and waterfront through pocketing sliding glass doors. 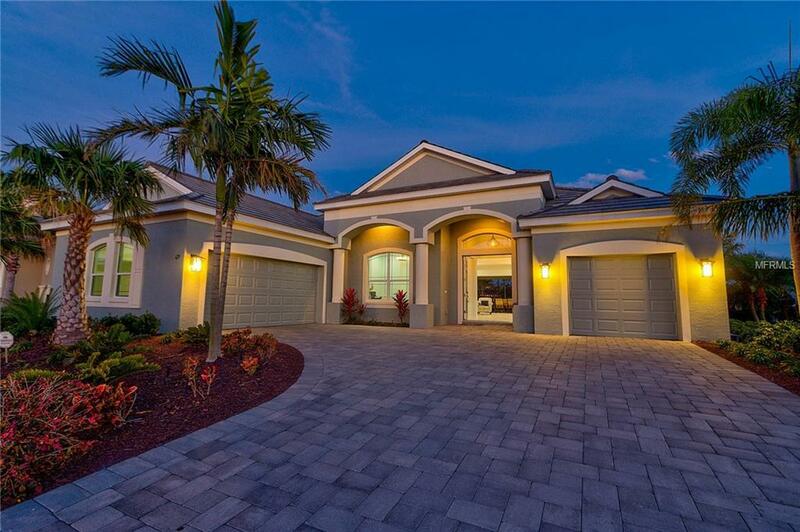 In the front of the home there are two garages making up a three car garage layout. In the rear the length of the waterfront is approximately 80 Ft with ample space to add a sizable dock in this deep, salt water channel with direct access to the Gulf of Mexico. The home boasts of an entertainer's kitchen with stainless steel appliances, a walk in pantry, and bar seating for family and guests to gather. The cooktop is electric and if you prefer gas it's already is plumbed in behind the cooktop, for an easy transition. The Inlets features resort style amenities including a tennis court, kayak launch, fishing pier, playground, and nature trail. 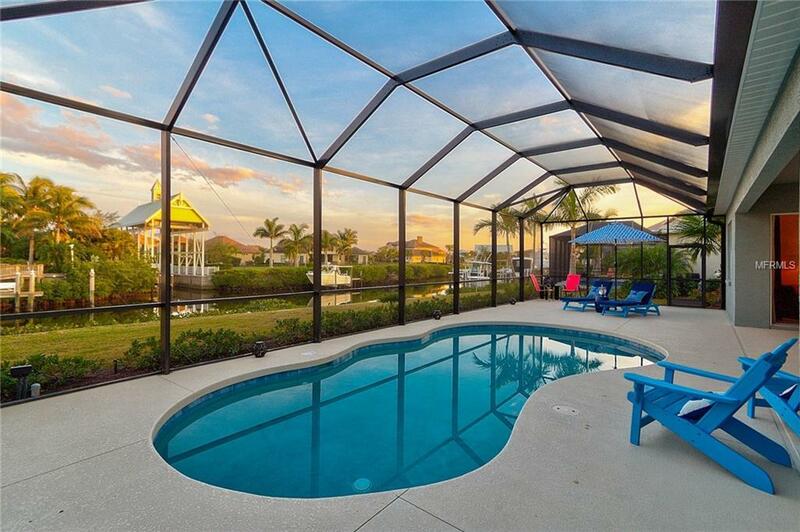 This community is so serene that its easy to forget youre just minutes to Bradentons best, including gorgeous beaches and sport fishing, or St. Petersberg and Tampa for world-class sports venues, entertainment, shopping, and fine dining. Additional Water Information Direct Access To Manatee River. City Of Bradenton Established Dock Requirements: 8' Min Side Yard Setback 1000 Sq Ft Max Dock Area See Listing Docs For Full Detail.